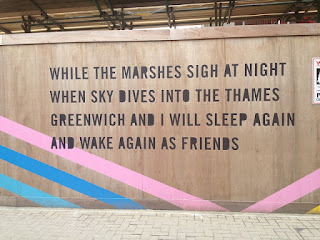 Some of the joys of London are the bits that come and go. 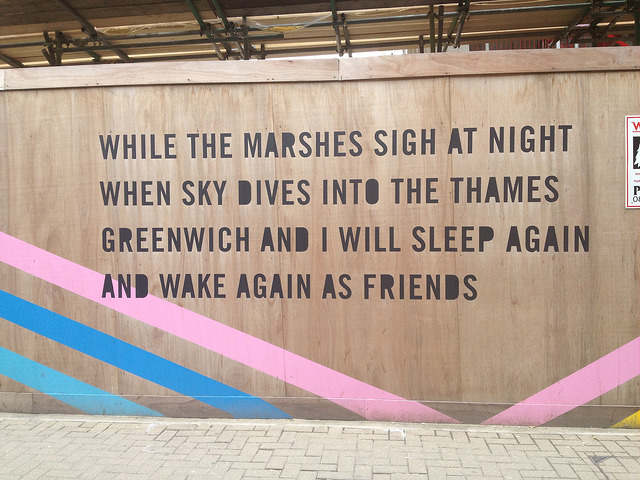 In 2012 Cathedral Group were building a development in Greenwich and the decorated hoarding included a specially commissioned poem by Lemn Sissay called "Shipping Good". The area also included a pop-up cafe, The Mvmt Cafe. 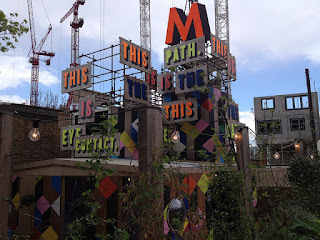 There were also some hoardings decorated with pieces of bicycles.